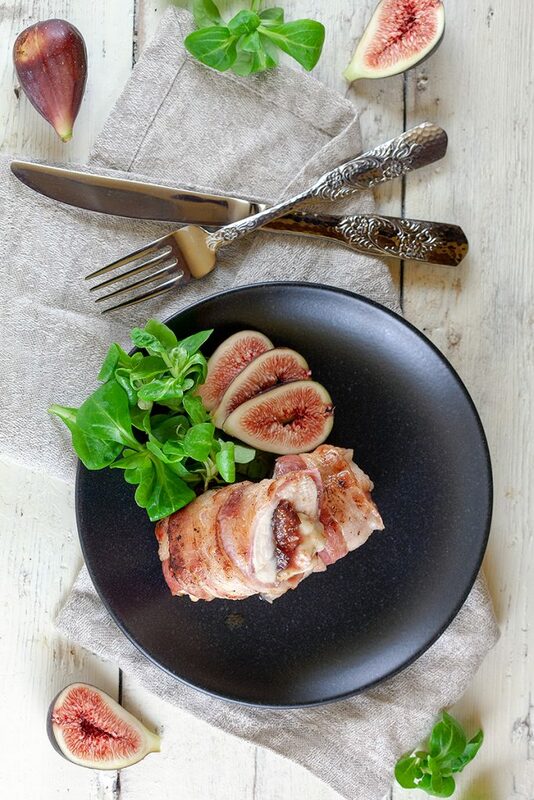 A stuffed chicken breast wrapped in bacon is well known, but have you ever had a fig and camembert chicken? Sweet figs and creamy cheese, mm! REMOVE any excess fat or muscles from the chicken breasts and make an incision with your knife. Make sure to not cut the chicken all the way through. 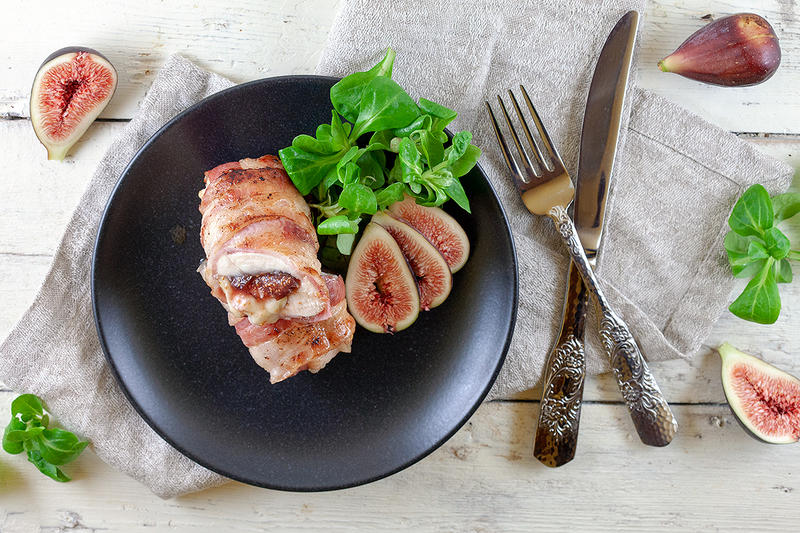 SEASON the chicken with pepper and salt and fill it with a spoonful of fig jam. 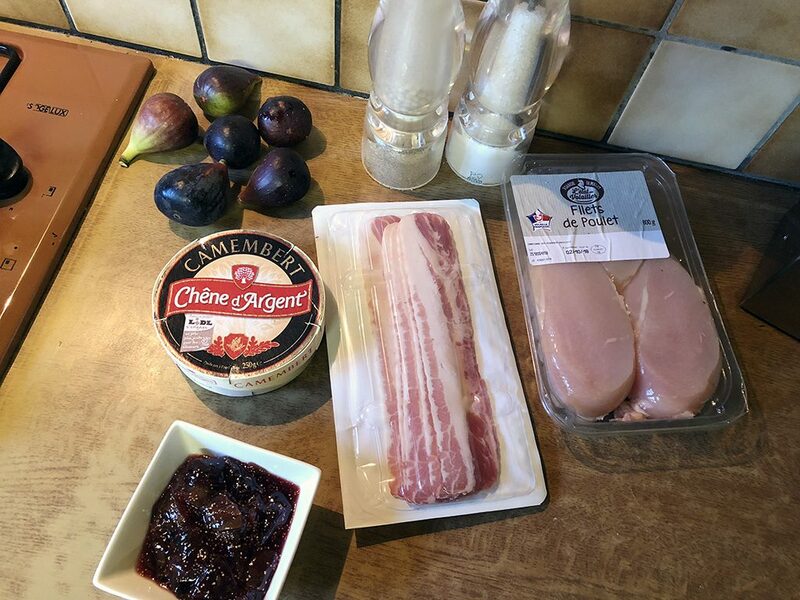 DIVIDE camembert into slices and add a slice of cheese on top of the jam. PLACE 2 slices of bacon in front of you, vertical. PLACE 3 slices in the middle, horizontal. The 4th slice vertical next to the other 2. PLACE the filled chicken in the middle and fold the horizontal slices inwards first and then the vertical slices to create a nice and closed package. RINSE the fresh figs and set aside. HEAT a bit of olive oil in a large skillet and cook the chicken wrapped in bacon a few minutes on each side. Turn down the heat, add a bit of water and put the lid on. Let the chicken cook on low heat for about 10 minutes. 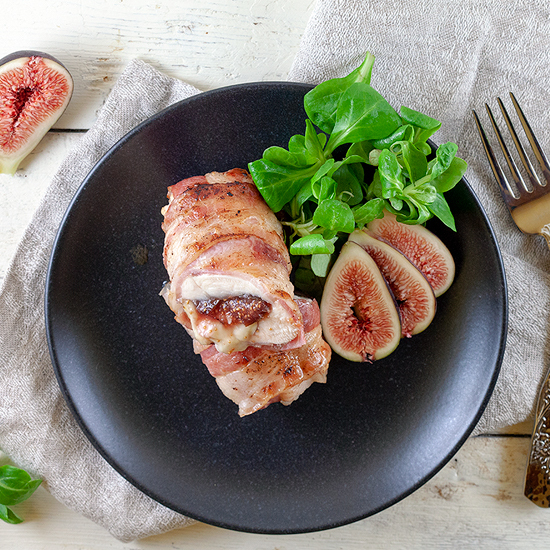 SERVE with extra fresh figs, salad and pasta. Enjoy!